Glyphosate: give the beet sector time to find alternative solutions! Paris, 18 September 2017 - With the end of sugar quotas on 1st October, beet growers will face a period of high instability and price volatility. To these economic concerns are added many environmental concerns, such as the recent announcement by France to vote against the renewal of the authorization of glyphosate. To date, French (ANSES) and European (EFSA and ECHA) evaluation agencies recommend that glyphosate should not be classified as a known carcinogenic, mutagenic or reprotoxic substance. Within the European Union, the regulation of phytosanitary products is thus based on the advice of the health authorities, the only guarantee of Community harmonization and the proper functioning of the internal market. CGB, even if in total incomprehension concerning this announcement, wishes to be in constructive opposition. It appeals to the common sense of the public authorities, so that they act in the interests of our agriculture, allowing farmers to continue their activities serenely and defining a shared timetable for the search for alternatives. It is also important to recall that the extra cost of withdrawing such a product would only undermine competitiveness, a key factor for the post-quota period. Engaged for many years in research on agro-ecological systems to achieve the ambitious objectives of the Ecophyto plan for reducing the use of plant protection products (25% by 2020 and 50% by 2025) the beet sector continues to search for alternatives, particularly by mobilizing the skills of its technical institute (ITB). This position was reaffirmed at European level by all the member countries of the International Confederation of European Beet (CIBE), on September 14th. 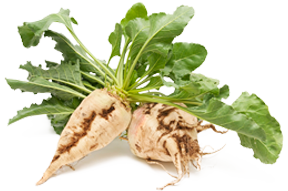 In recent decades, the cultivation of sugar beet has benefited from advances in agronomic research. It has been able to rely on the great skills of growers and industry. For example, in 50 years, beet yields have more than doubled, from 40 to 90 tonnes of beet per hectare, with a sharp drop in inputs (-30% of plant protection products in 20 years), which corresponds to a progress from 7 to 14 tonnes of sugar per hectare. For more information, see the (French) Beet & Environment brochure. Download this Press Release in French or English.